Folks, if you want to get paid by Airpush in the next billing cycle, I'd suggest you go to the payment page on Airpush, and there you will see a form which needs filling up. The WBEN-8 form is some taxation related detail that is required I believe by businesses running in the great ole US of A. Airpush runs from there, thus they need to inform Obama who is being paid how much out of the country. I am not sure if Airpush will halt payment if the forms aren't in, but why wait for the disappointment? Get that form filled up ASAP! There are times when I have so much to tell, but I just can't quite get a move on. That happens when you've had a truly awesomely boring meeting in the morning where you said zero freaking words (beside the greetings, of course, to back stabbers who will not even think twice of poking your back with a tooth pick!). And one such moment is right now (the mental block moment, not the stabbing moment). Instead of posting lame entries into the blog, I am guessing I am gonna start posting as and when there is something to post! So I guess there goes the daily updates! There, that's it for today, short and sweet! read, so don't worry about the value of it. But every day posting like you were promising yourself...hmm that's hard to keep up with. So before you're doing some 'siesta'...lol, I want to ask you if you have experience with SlideMe and their ads campaign. Thanks for the kind words... lol! Will try not to burnout on the blog instead! SlideMe, I only use them as a 2nd market. Haven't used their advertising ( they are using the mobfox platform I believe ). Hmm, maybe I should give it a look as their ads would most likely be apps related and should perform better on the platform. Will keep you folks posted! I just updated AirPush's WBEN-8 form and they will review it in 24 hours. They said "As your TAX information is under review, your payments will be on hold". OK, let's wait. Sorry for your bad day but "tomorrow is a whole new day" so cheer up my friend. Thanks for the very useful info on Airpush. No bad day at all... as long as we wake up on the right side of the ground, it is an awesome day eh? “Internalizing” my Android applications, Do I need to? Hello developers, I just found out about this incredible forum yesterday and it has given me so many great ideas that I will like to start sharing this with all of you. :). I've been in Android development for the past 2 months (not a lot of time, I know :p) but from the beginning it was pretty straight forward. 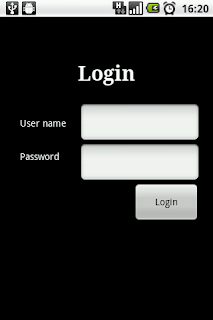 I use Eclipse plugging for Android and the development is really fast. amazing book. And let me tell you, I have not even finished reading the book yet, I just went through “Chapter 8” and I felt like I was ready to go. So I started my first Android application called Love Ideas, I managed to create a nice UI and functionality with my Girlfriend's help ( She's a graphic designer <3 ). I have Leadbolt (With is the best!!!! ), Mobfox and Admob ads. And the revenue have been fair enough. After a little background :p, let's start with the topic of this post. I will totally recommend that you start internalizing your apps ASAP. I used to have more downloads from the US because the default language of Love Ideas is English (1260) to be more specific. So, I decided to add Spanish as a complement for an Update. My surprise was fast!, Right now Spanish downloads are almost 4 times more than English (4080). I have a lot of people from Spain, and Mexico and also United States but using the application in Spanish. So I decided to add French too (hoping to the exact same result), And I was right!. In a couple of days I can see more than 300 people using the application in French. Thanks for taking the time to write that, will be very useful for others.